Can 'The Wiz' On NBC With Queen Latifah, Mary J. Blige Bring 'Must-See TV' Back To Thursday Nights? Venerated Broadway hit and classic 1978 film “The Wiz” eases on down the road to broadcast television tonight, when NBC airs its live production of the musical (“The Wiz Live!”). This is the third live musical NBC has done in three years, in what’s becoming a holiday tradition of sorts for the network. “The Sound of Music,” starring Stephen Moyer ("True Blood") and Carrie Underwood, was the network’s first foray into the live musical genre in December 2014, for which it was rewarded with a nice, big audience of 18.5 million viewers on the night. Last December, NBC went with “Peter Pan,” starring Allison Williams (yes, the daughter of Brian) and Christopher Walken. “Pan” only drew about half the viewers “Sound of Music” did, but was still framed as a win for NBC. That sounds like spin, and it sort of is, but with ratings these days, particularly for one-off specials, it’s all relative. December is typically tumbleweed territory for scripted TV, as series wrap up the first halves of their seasons and viewers go into hibernation. Nine million viewers, with nearly three million in the advertiser-coveted 18-49 demographic, isn't exactly something to sneeze at. And according to media buyers, live, family-friendly events are an easy advertising sell, particularly ones that air in the mad shopping dash leading up to Christmas. NBC’s musicals also air on Thursday nights. Once the home of “Must-See TV,” Thursdays have been a black hole in NBC’s schedule for the last several years. Even moving big hits like “The Blacklist” to the night haven’t boosted viewing levels for the network, and the current lineup (sci-fi revival “Heroes Reborn,” “The Blacklist,” and soon-to-be-dead “The Player”) is only averaging about 5 million live viewers for the night. So even if “The Wiz” only garners an audience equal to that of “Peter Pan” -- and ratings experts anticipate it’ll do much better, perhaps in the 13 million range -- that’s a vast improvement on the night’s average. NBC Entertainment chairman Bob Greenblatt attributed the poorer “Pan” performance to the lack of a Carrie Underwood-level star and the fact that “Pan” simply wasn’t as well-known a property as “The Sound of Music.” Underwood’s performance as Maria was the subject of much heckling on Twitter, but that’s almost irrelevant to NBC: people still tuned in, and the network only needed their eyeballs once. 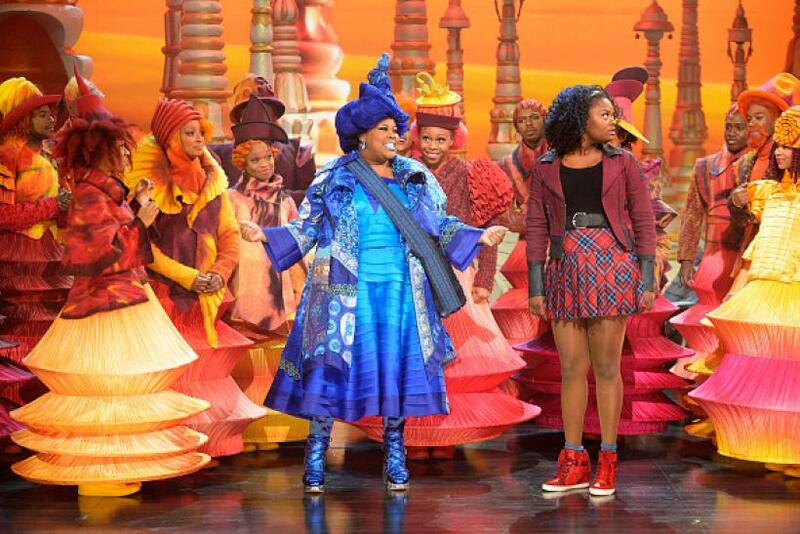 So Greenblatt and co. went with more of a hybrid approach for “The Wiz,” which features plenty of wattage with Queen Latifah, Mary J. Blige, David Alan Grier, “Orange Is the New Black” star Uzo Aduba, and original Dorothy Stephanie Mills as Auntie Em. Dorothy in this "Wiz," though, will be played by impressive newcomer Shanice Williams. He’ll have another opportunity for a Tony when this version of “The Wiz” gets a Broadway stage revival in the 2016-17 season. That also means NBC Universal will have a stake in two “Oz”-based shows on Broadway, since Universal Pictures is one of the backers for Broadway’s long-running “Oz” prequel “Wicked.” Turns out those bricks aren’t just yellow, they’re gold.